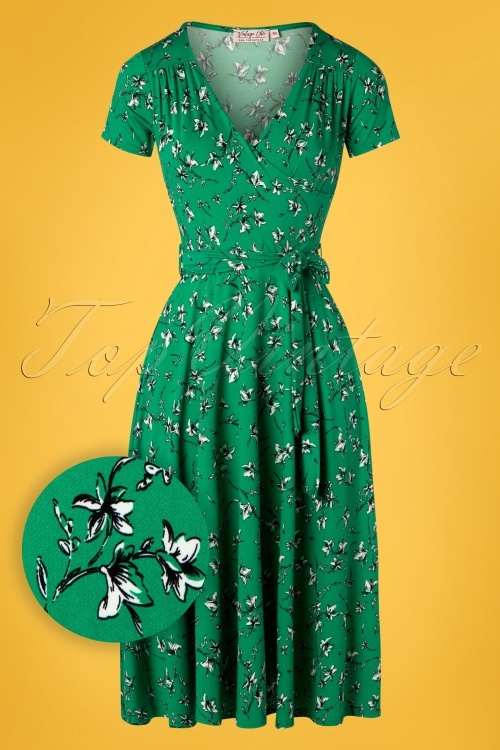 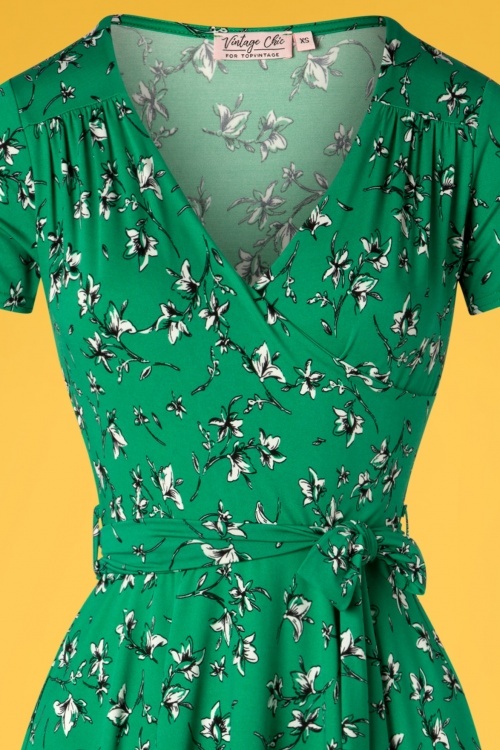 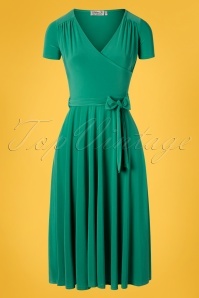 This elegant 50s Faith Floral Swing Dress in Emerald is a true vintage beauty, perfect for any occasion! 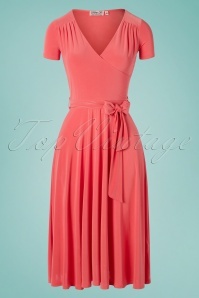 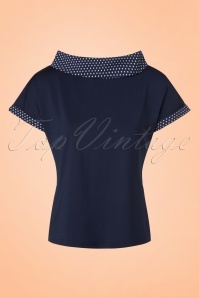 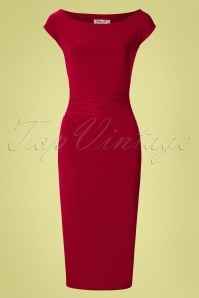 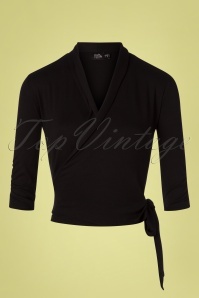 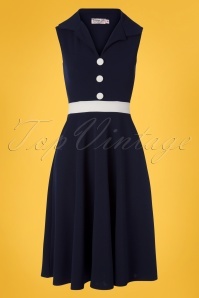 The fitted bodice features a stunning V-neckline, a beautiful wrap over, an elegant tie belt and a flowy swing skirt. 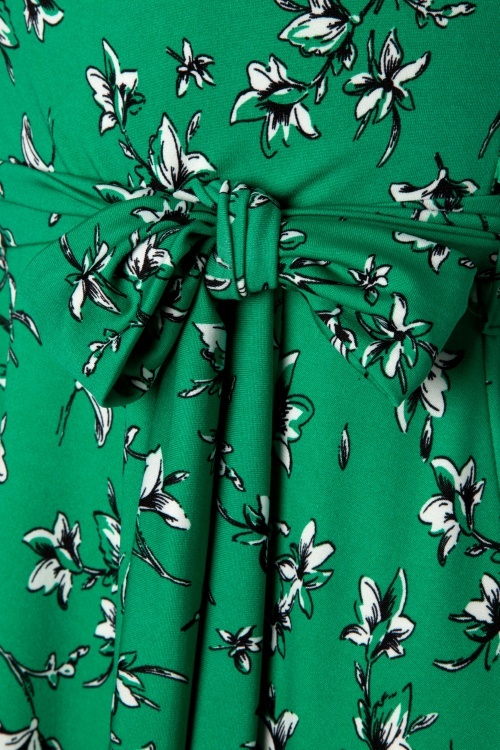 Made of a smooth and supple, slightly shiny, stretchy emerald green fabric that is a joy to wear, doesn't crease and features a black and white floral print. 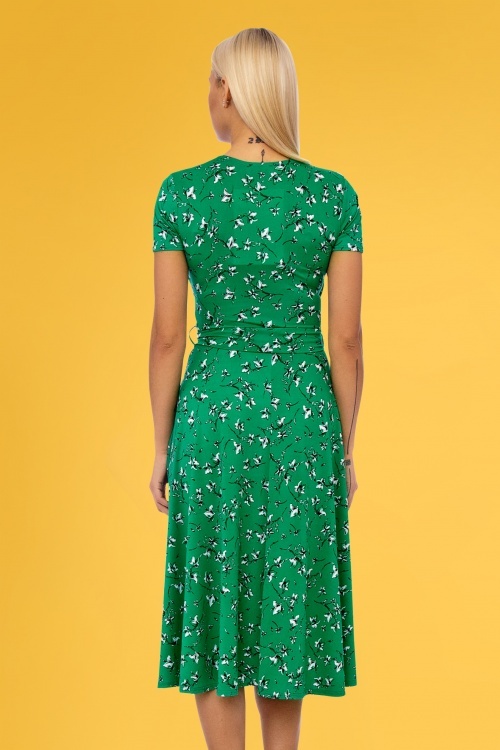 We totally have faith in Faith!